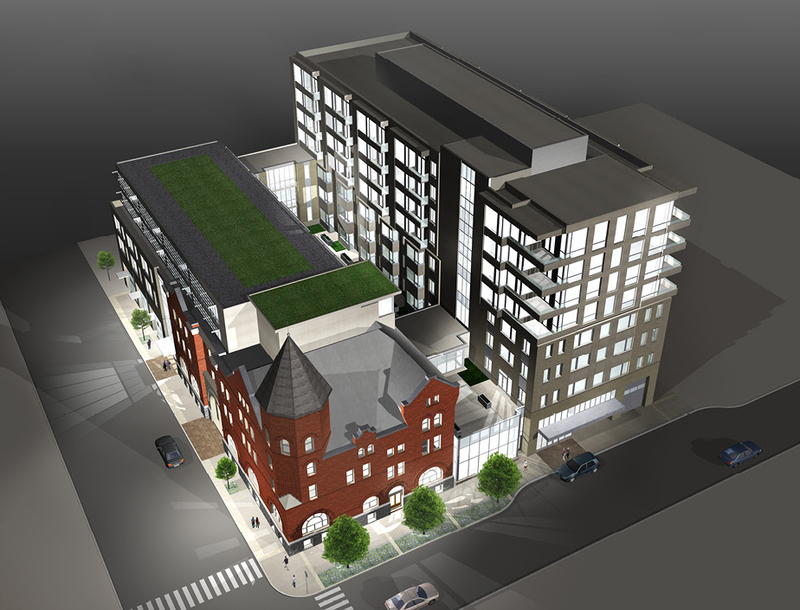 George St. Mixed-use Residential Development - Strasman Architects Inc. 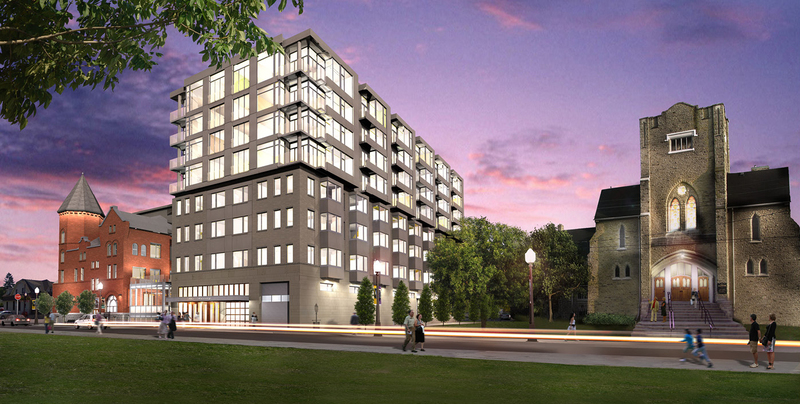 Located at the corner of George St and Murray St. at the Civic Centre of Peterborough, the proposed mixed use development presents a variety of seniors residential options on an important downtown site, and in the process, brings new life to a significant historical landmark building-the 1895 YMCA. 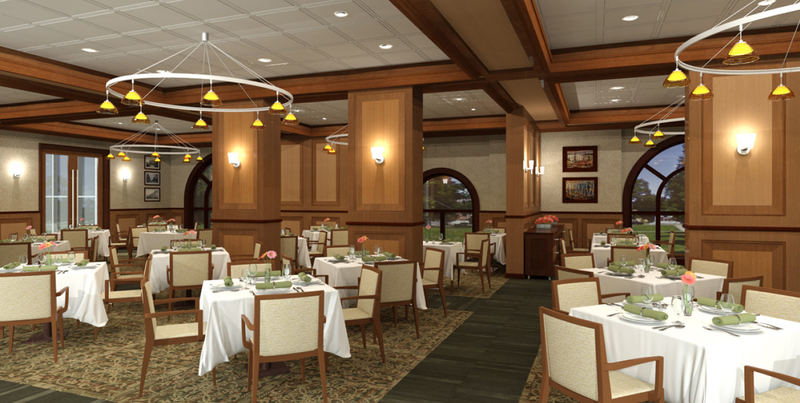 There are 92 assisted living seniors units located on levels 2, 3 & 4. Levels 5 through 8 in the West wing tower comprise the 48 independent market living units. The YMCA building will be reborn and revitalized and primarily will contain all of the social functions on the main level. On the upper floor and in the roof space some unique living units will be accommodated. The proposal also includes for a small amount of retail space accessed from George street. 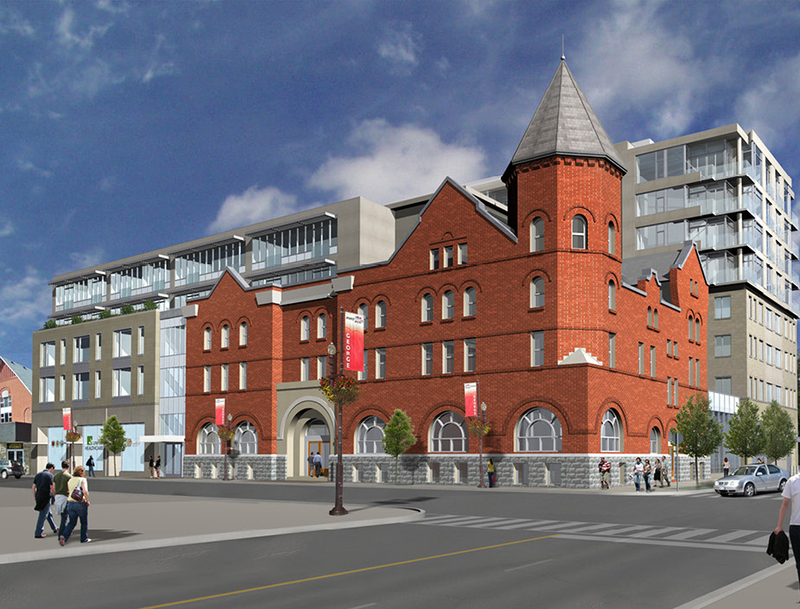 In addition a 10,000 square foot medical clinic catering to the needs of the seniors will be located with access from George street as well as the laneway separating the development from the church to the West.